The most exciting time of the festive period has to be Christmas Eve. The anticipation of the big day is more heightened than ever, thanks to the children awaiting a visit from Santa and setting up the treats for the big guy and Rudolf, and for the parents preparing to create a magical Christmas morning for their little ones! Whilst we all have some traditions that are unique to our families heritage, every so often a new tradition takes hold, with Christmas Eve boxes becoming a new and fun way to celebrate Christmas just that little bit early. A Christmas Eve Box is a fantastic way to enhance the festive celebrations, for all ages. For little ones, it’s a way of settling them in for the night and letting them indulge in a couple of pre-Christmas treats, to keep their impatience at bay. For older children and adults, it’s a way of furthering the merry feeling, starting to enjoy Christmas just that little bit early, after all, Christmas Eve is exciting no matter how old you are! The box itself started as anything from the humble cardboard box to an old crate. However, as the Christmas Eve Box grows into an increasingly popular tradition, more options are becoming available, with lots of people opting for personalised Christmas Eve Boxes for that added magic touch. So, what should you include? It’s a great idea to have some activities to do together throughout the evening as a family, such as a board game, activity books or craft making activities. Another item which is commonly included is some sweet goods! This could be anything from hot chocolate and marshmallows, to a gingerbread house. There’s also the option to include a baking kit, to spend the day cooking up some cookies or mince pies as a treat for Santa (and yourselves). 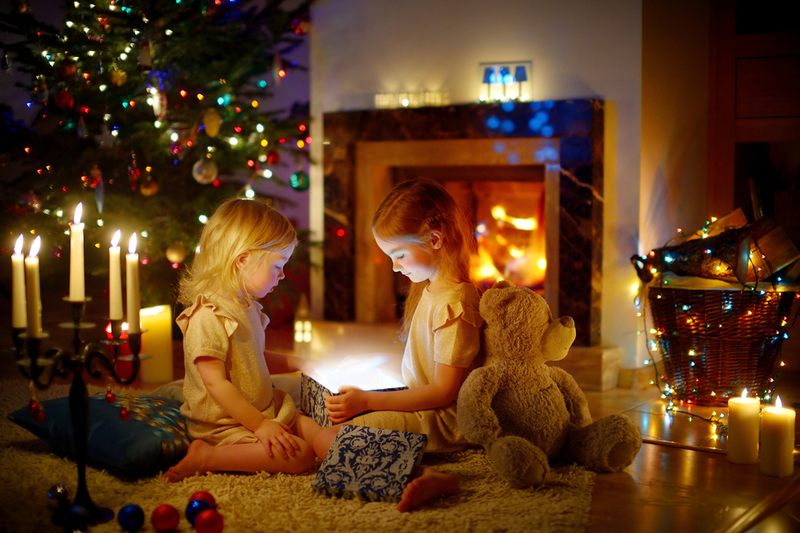 What better way to spend Christmas Eve than to read a Christmas story with your little ones or watch your favourite Christmas Movie snuggled up on the sofa. It can also be a fun idea to put up some last-minute decorations, hang your stockings and pop up a sign to let Santa know where he can stop. These items can all be included in your box, along with any other goodies that you would only put up on Christmas Eve itself. Probably the most popular item to include within your Christmas Eve box is brand new PJ’s. Lots of families make this their main tradition, by purchasing a new pair of matching pajamas every year for each member of the family. Go the extra mile by also popping in matching slippers or bed socks, after all, if you can’t go over the top at Christmas then when can you! Whatever you choose to put in your Christmas Eve box, it’s sure to start your festive celebrations off on the right foot, enjoying all that Christmas means, together. For more ideas of products to include in your Christmas Eve box, Born Gifted have a fantastic festive online guide.